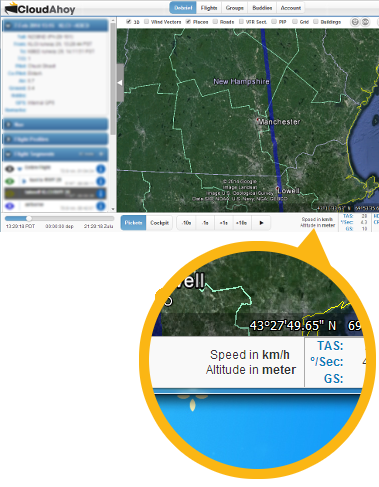 We’ve had requests from users, especially pilots of vintage airplanes, to have the ability to change the speed and altitude units. This feature is now available. Speeds: knots, mph or km/h. The units that you choose will be used in the Debrief tab’s timeline data, as well as in the sidebar profile graphs. The timeline also displays which units are currently in use. Find the “My Analysis Preferences” section. Change the Speed Units and Altitude Units fields by clicking the dropdowns that appear to the right and choosing the desired units.